A Neighbourhood Defined by the Lake. 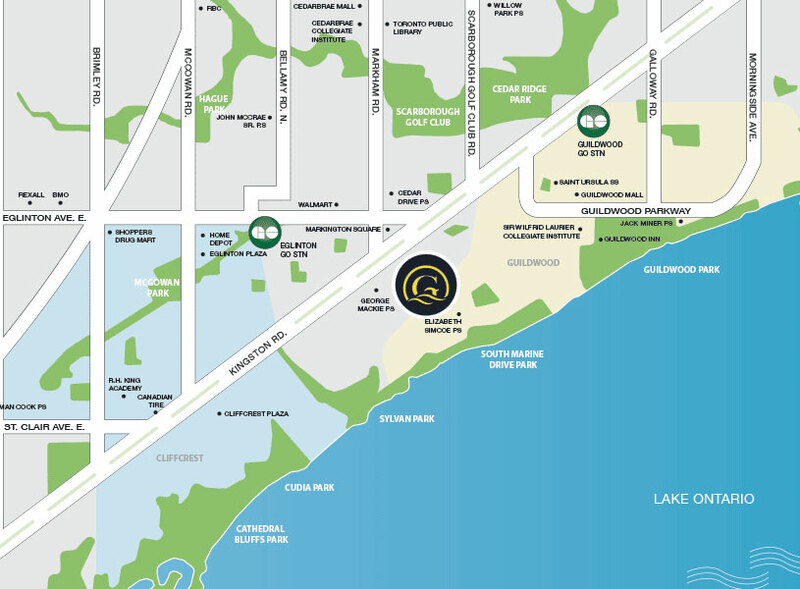 Nestled along the pristine shoreline of Lake Ontario, Guildwood is one of Toronto’s most livable neighbourhoods. The area’s quiet, tree-adorned residential streets intersect with bustling boulevards lined with cafes, shops and restaurants. This closely-knit community is an ideal fit for everyone from singles to families to empty nesters who want to embrace the lively local atmosphere and unique lifestyle opportunities. Anchored by the iconic Guild Inn—a former artists’ colony that gave the neighbourhood its name—Guildwood is nestled between Lake Ontario and thriving Kingston Road. From monument-laden Guild Inn Gardens to less-frequented spots such as Gates Gully and South Marine Drive Park, Guildwood is an outdoor lover’s paradise. Of course, the stunning Scarborough Bluffs—a meeting point for locals for more than 200 years—are also just minutes away. 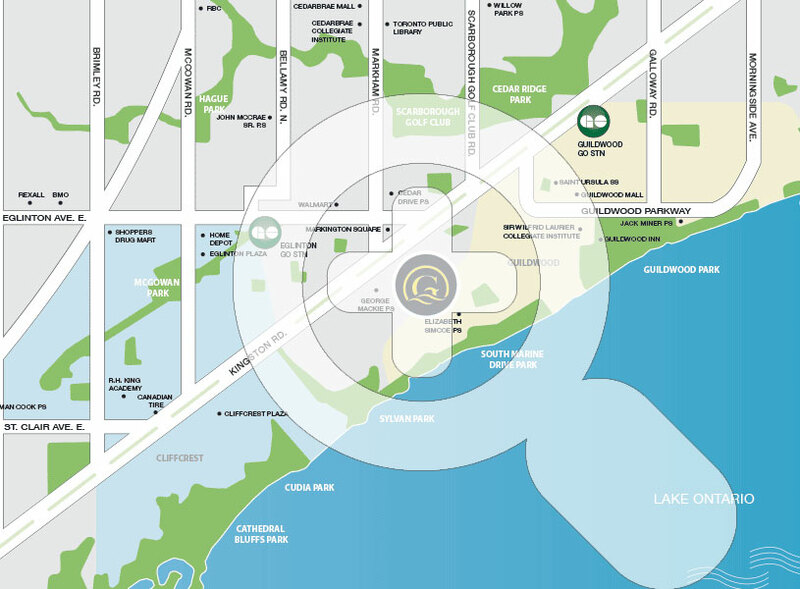 With such great lifestyle amenities, you’ll never want to leave your new neighbourhood.